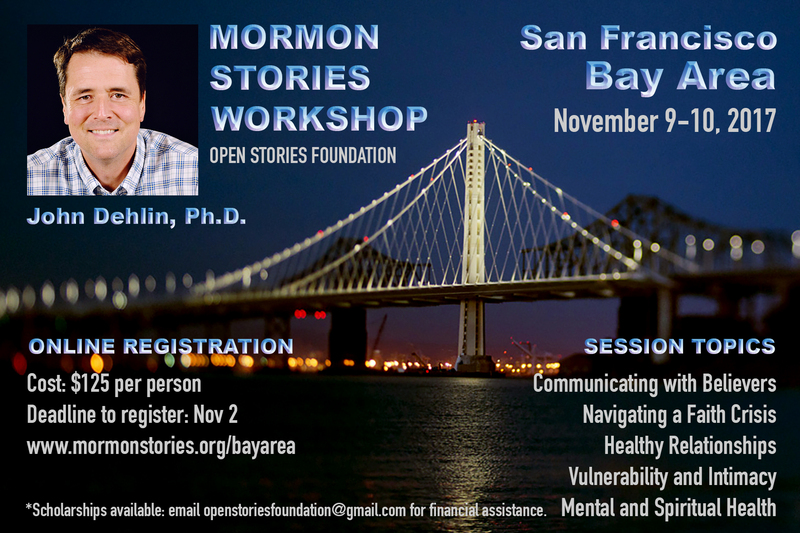 John Dehlin is coming to the San Fran/Bay Area on November 9th and 10th, 2017.
WHO: Progressive Mormons, Transitioning Mormons, Post-Mormons, Mixed Faith Couples (believing and non-believing). WHERE: San Fran/Bay Area, California (we will send venue address to all registered participants). WHEN: Thursday evening (November 9th) will be an Introduction/Mix & Mingle starting at 7pm and Friday (November 10th) will be a full day workshop from 9am-5pm.